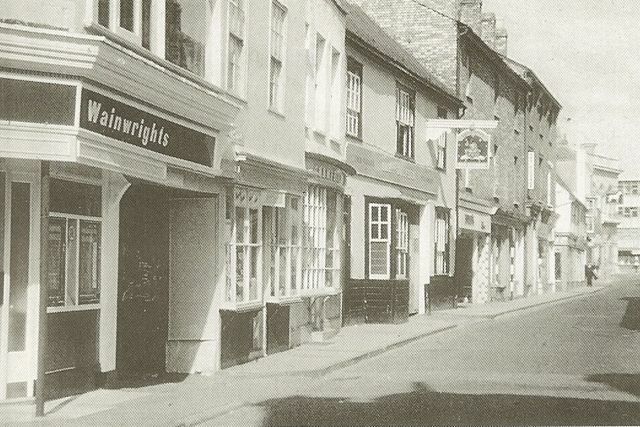 In Chelmsford in the Sixties, as in so many other towns in England, the demolition of many of the best parts of the town began – that is the Corn Exchange and beside it, Tindal Street, the narrow cobbled lane that was home to the White Hart, the Spotted Dog and the Dolphin, and at the far end, Wainwrights Milk Bar. They all disappeared. Before that happened, I started working there, on Saturdays and in the holidays. It was August 1966. We served milk from a special machine, milkshakes made with bright sweet milkshake mix and Horlicks, made with milk, on a noisy beige electric mixer. I never liked serving Horlicks because somehow, for me, it always turned out lumpy. Why would anyone want to drink Horlicks in the daytime, anyway – or at all? We also served tea, and two types of coffee, ordinary, which we served from an urn behind the counter and – Expresso! The Saturday girls weren’t allowed to touch the Expresso machine, as we called it. Elsie, who worked there full-time, and was usually in charge, said that was because it was dangerous. She’d knocked out her two front teeth one morning making frothy coffee for someone. So she said. Her two front teeth were certainly missing. On my second day at work, in my neat white overall and red and black check pinafore apron, I got my first and only ever tip. Which, I wrote in my diary, was ‘for giving a man 3 sugars in one cup and 1 and a half in the other.’ It was sixpence. Not bad! But why? The Milk Bar was the hub of the town, I think. My dad went there for coffee at 11 o’clock from the AEU office in London Road, where he worked. There he met his old friend Jimmy Peacock who wrote a column in the Essex Weekly News. 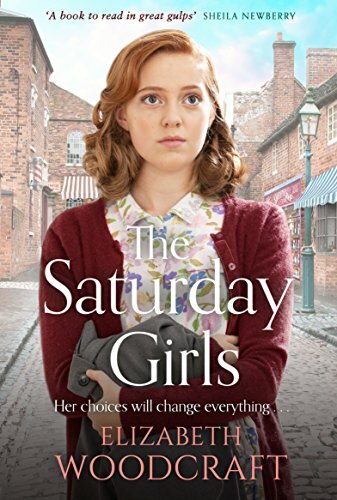 My sister’s gang – the In-Crowd – slouched in on Saturdays. Shop workers came in, occasionally a mod drifted in, sometimes even a confused rocker, young families wanting lemon squash, people from building sites wanting pie and beans. On 13 August 1966 – 29 years ago today – I did hardly anything ‘except make ice-cream sodas’ (which in Chelmsford consisted of fizzy lemonade, a dollop of vanilla ice-cream and a stir with a long spoon. I still like it). People came and went, it was hot, it was summer. The Corn Exchange was closed till the autumn. Perhaps that was the reason the Troggs were at number 1. I have tried to find out who took the picture of Tindal Street. If you know, please get in touch.